As the government shutdown enters its second month, families across the country are struggling to make ends meet. The shutdown — which began on Dec. 22, 2018 — has affected more than 800,000 federal workers, and it appears there is no end in sight. President Donald Trump has stated he will not reopen the government until Congress approves $5.7 billion in funding for a wall on the Southern border of the United States. But in the meantime, people are suffering. So what can you do? How can you help furloughed workers? There are numerous ways. Food pantries are essential. According to the nonprofit organization DoSomething.org, 49.1 million Americans live in food-insecure households, and that number is rising. The Capital Area Food Bank’s Hunger Lifeline, which provides emergency food services in the Washington, D.C., area, told the Washington Post they have seen demand go up 10 percent in the last 30 days. So head to the store, stock up on canned and nonperishable goods and then drop them at your local food bank. A little extra can go a long way. Chef José Andrés is working hard to bring meals to those in need, particularly federal employees. Earlier this month, Andrés launched the #ChefsForFeds initiative. But even if you don’t own a restaurant or food truck, you can help. Donate to World Central Kitchen here. As any parent will tell you, diapers are expensive. These disposable products can set you back $70 to $80 per month, or about $900 a year. Thankfully, programs like the National Diaper Bank Network are designed to alleviate the financial burden some parents face, but with the furlough, NDBN needs your help. Click here to make a one-time or recurring donation. GoFundMe partnered with Deepak Chopra to provide assistance to government workers affected by the shutdown. 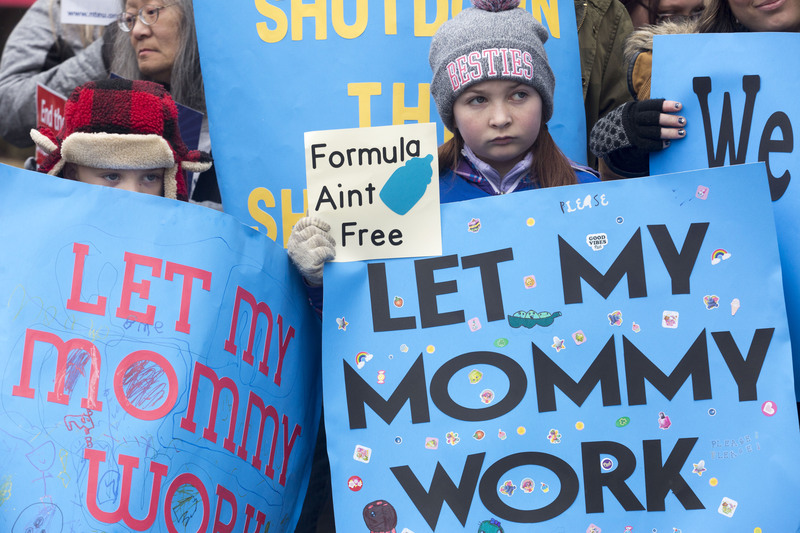 Donations made to the Government Shutdown Relief Fund will be distributed to various nonprofits aimed at providing relief to government employees, including José Andrés #ChefsForFeds and the National Diaper Bank. And most important, remember: No matter where you stand on the issue at hand, the government shutdown isn’t just political, it’s personal. So be generous. Be kind. And help your fellow Americans. It’s the right thing to do.